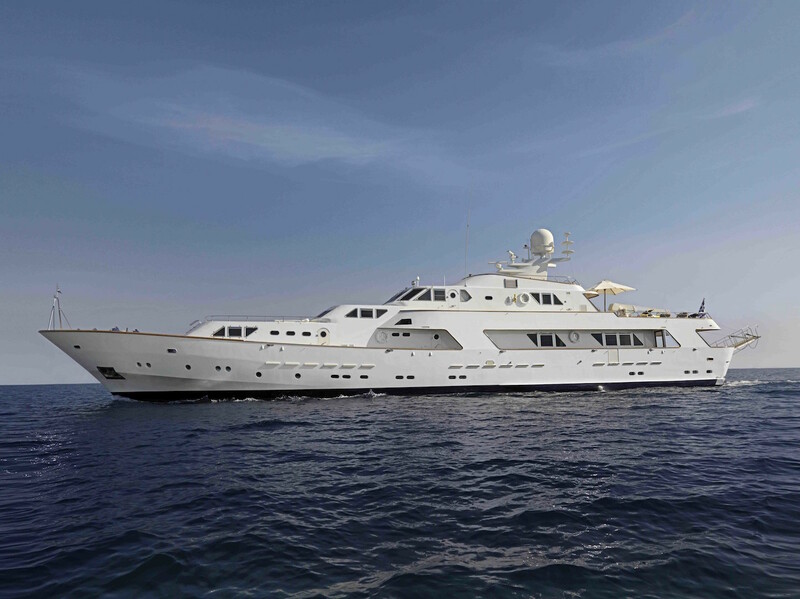 Motor yacht ALEXANDRA K is a 42,80m (140' 5") luxury vessel built by CRN in 1981. 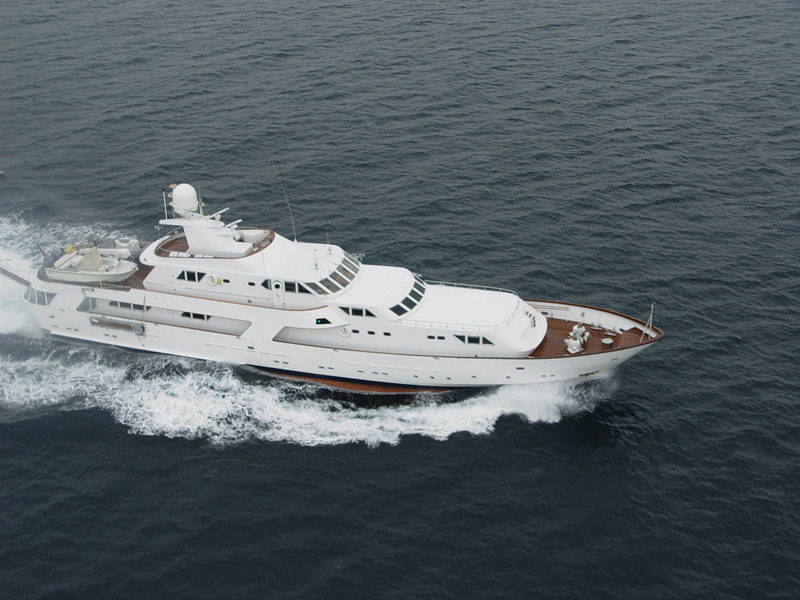 She underwent an extensive refit in 2006. 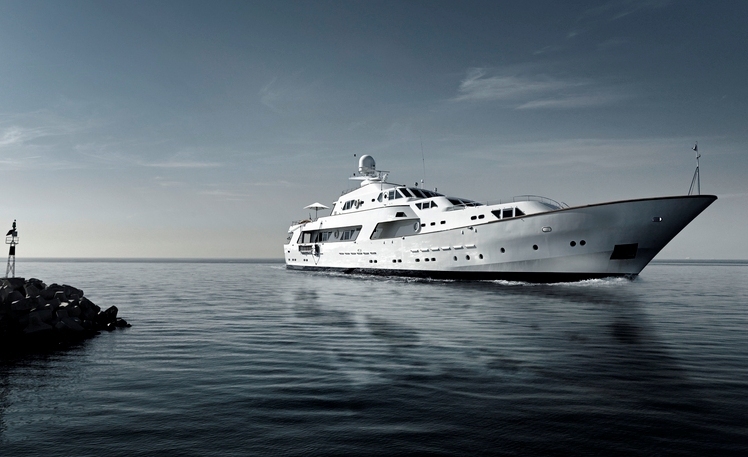 Her exterior was designed by the CRN team, who also worked on the naval architecture of the yacht. 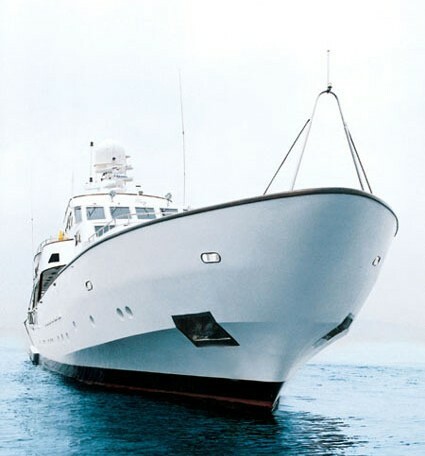 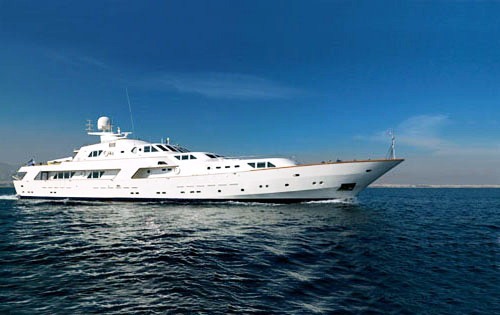 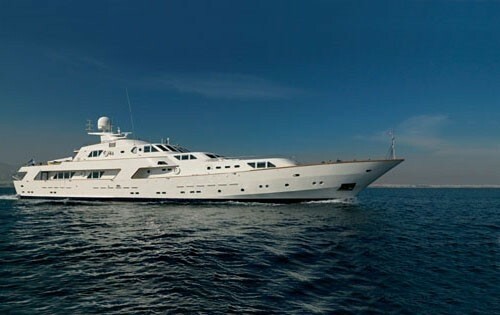 This beautiful class motor yacht provides very comfortable accommodation for 12 guests in 7 staterooms. 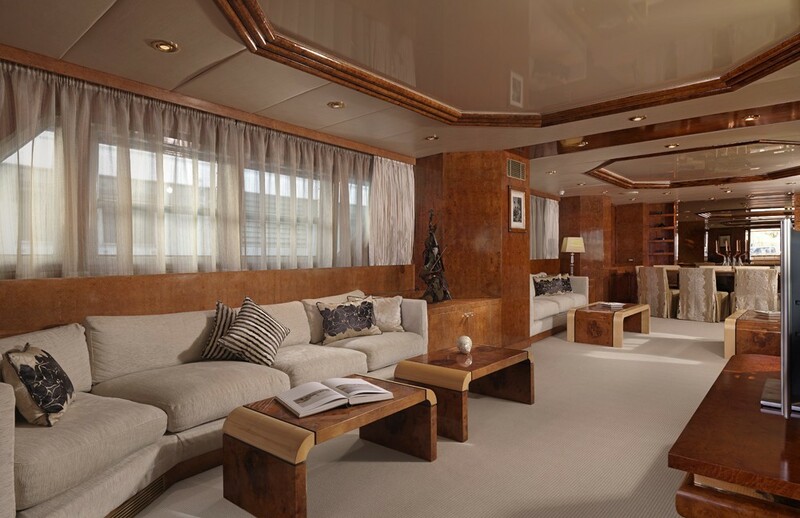 The main salon features cool hues of soft beige and tans of the wood-lined seating areas. 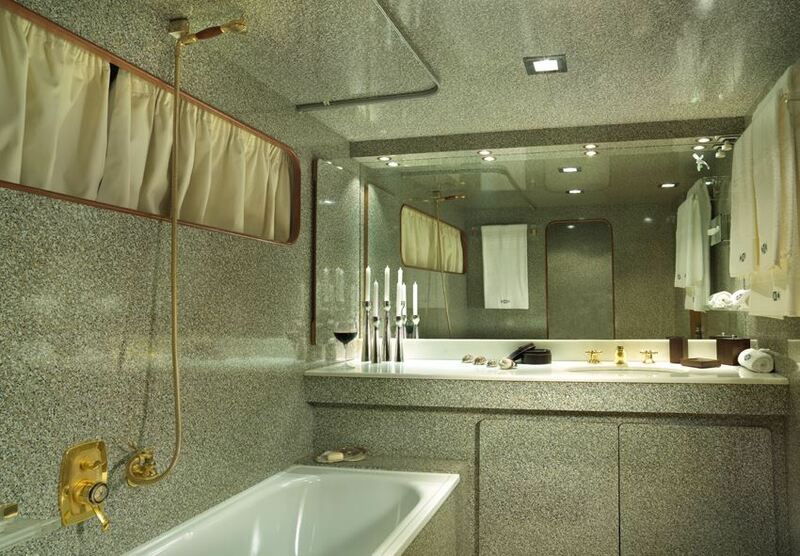 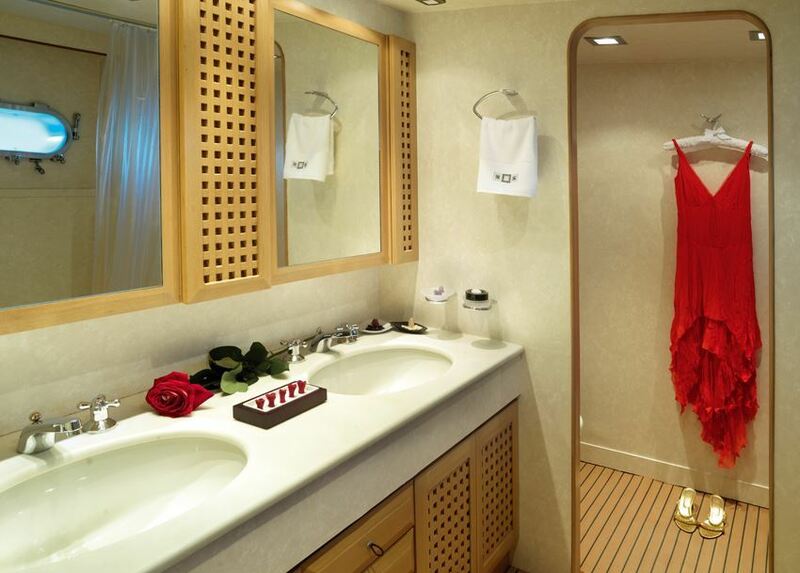 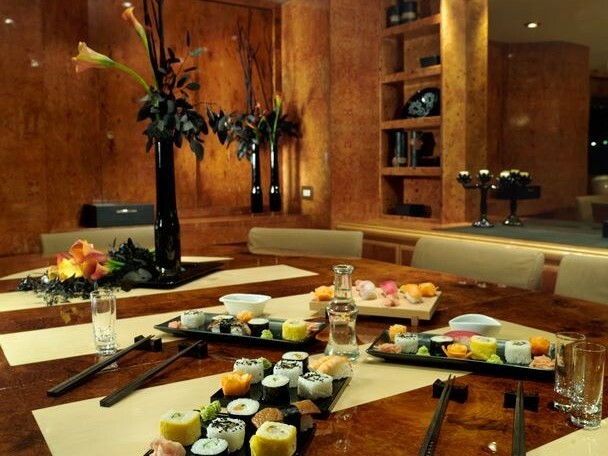 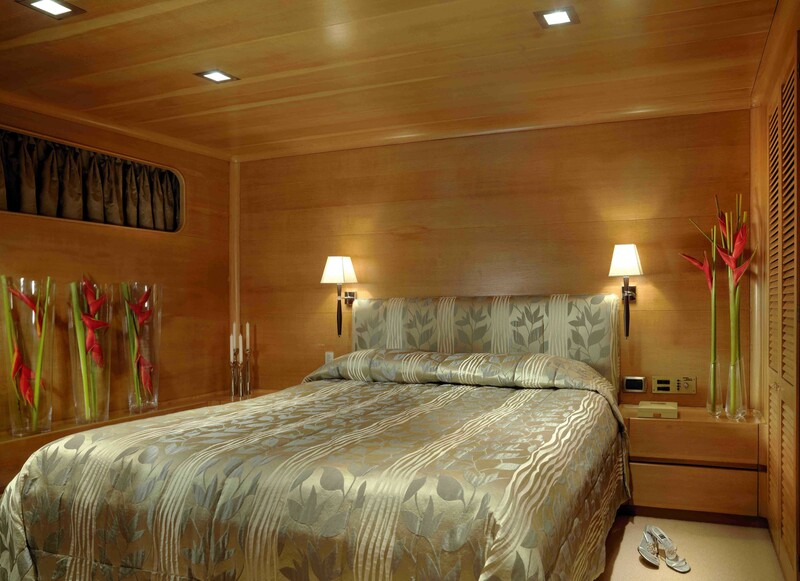 These colours are continued throughout the yacht creating a peaceful and pleasing atmosphere. 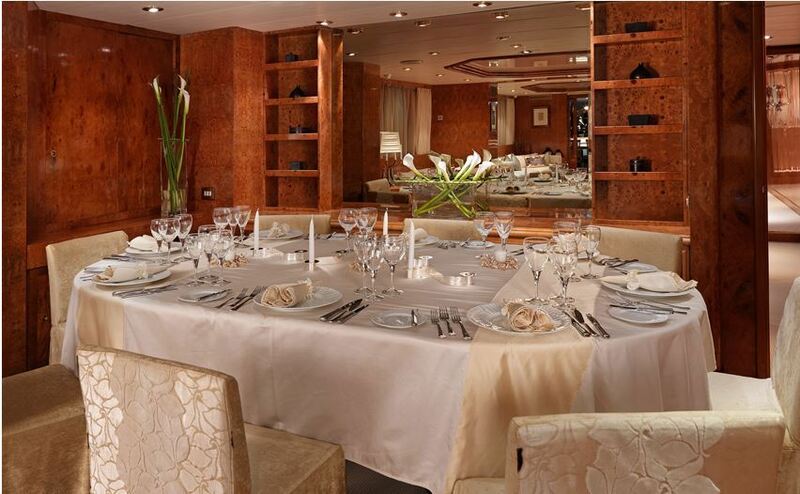 The salon is the perfect for relaxing conversation and leisure. 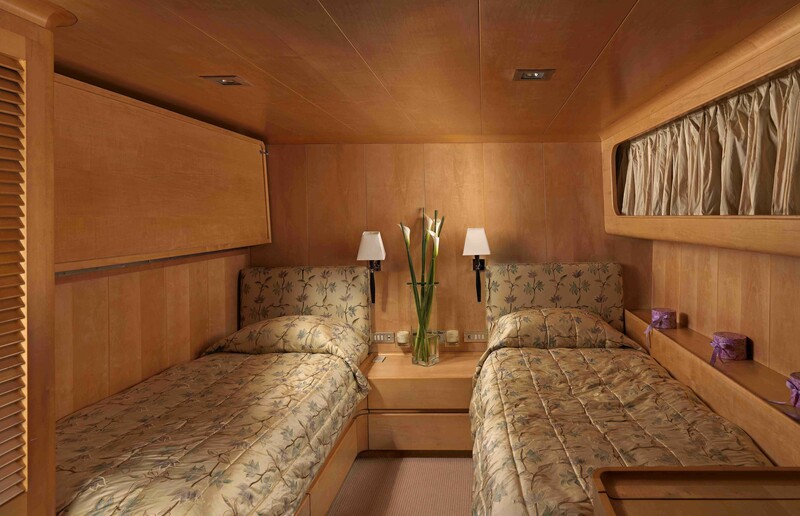 It features two seating areas and is equipped with a full entertainment system that includes a television, DVD, video and music system. 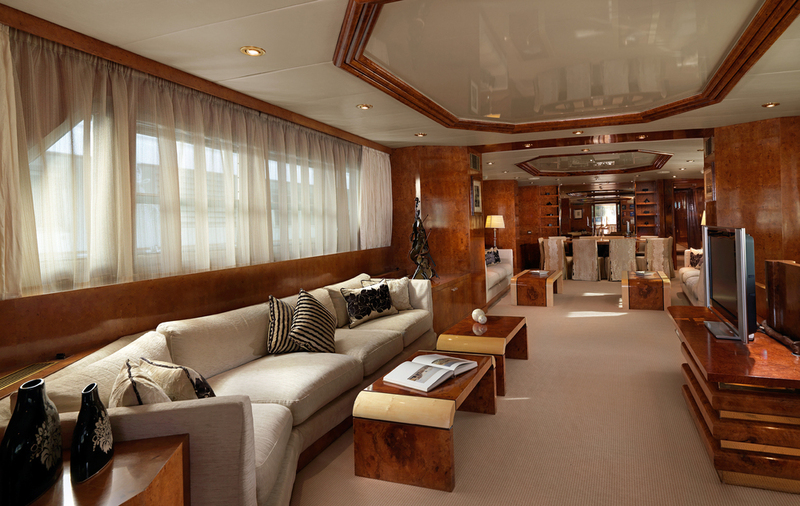 Forward of the salon is a formal dining room big enough to seat all guests on board. 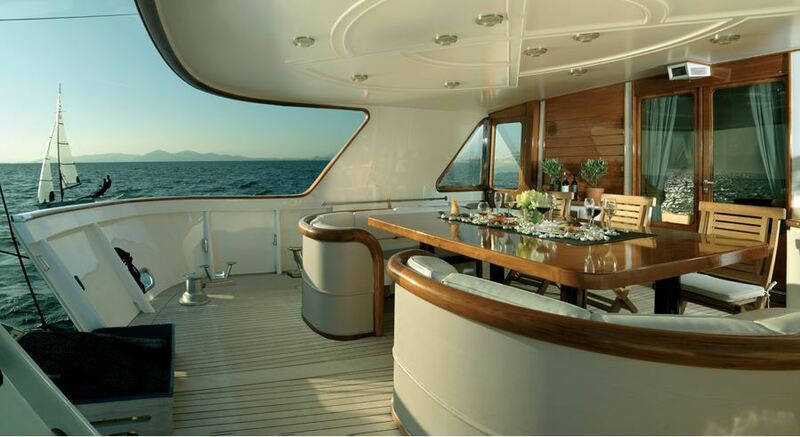 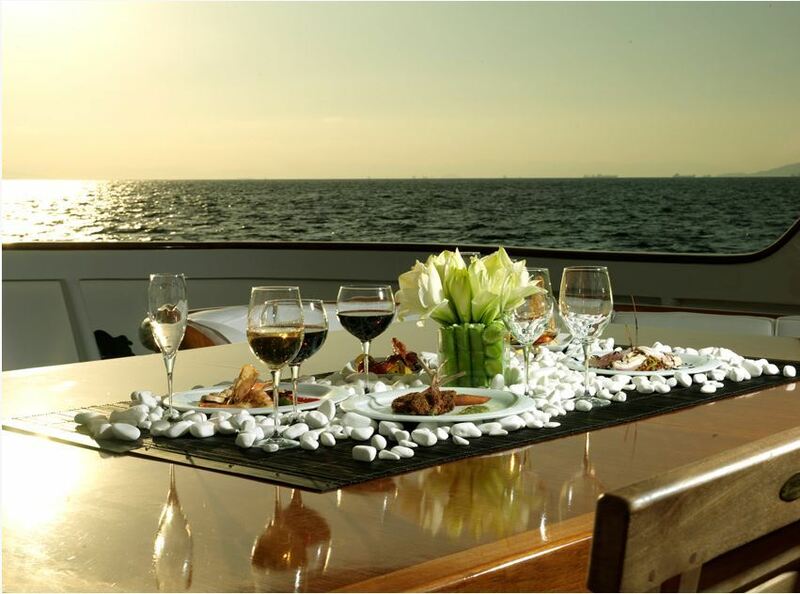 Alternatively guests can enjoy dining al fresco in a more relaxed atmosphere on the Aft Deck. 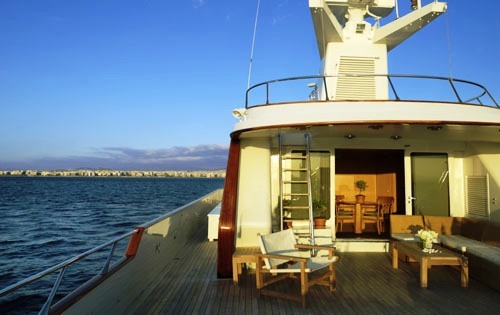 ALEXANDRA K has a simple and very relaxing style with very large spaces both in the interior and on the outer decks. 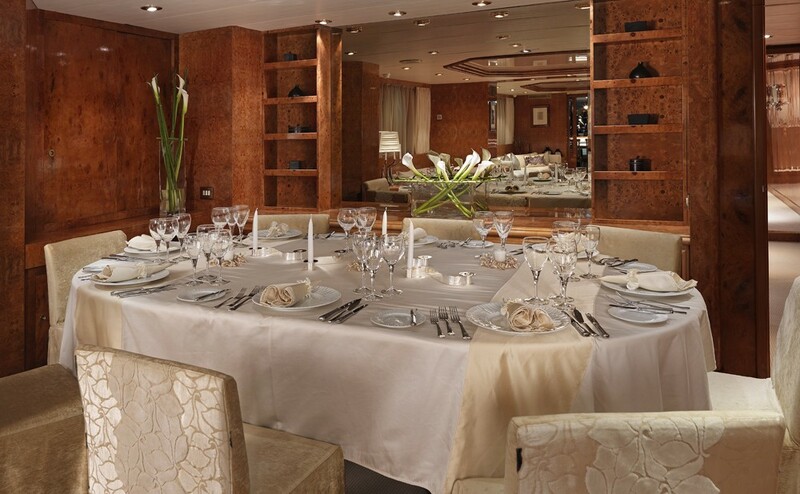 Alfresco dining area is located on the main deck aft. 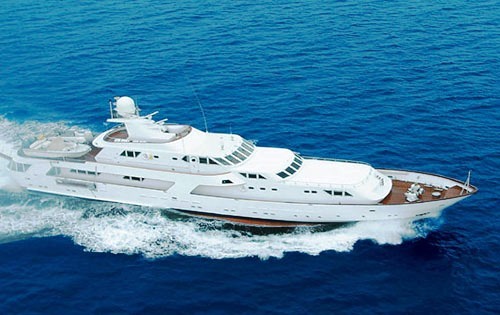 She has a crew of 9, who will amek sure high standard of services is offered at all times. 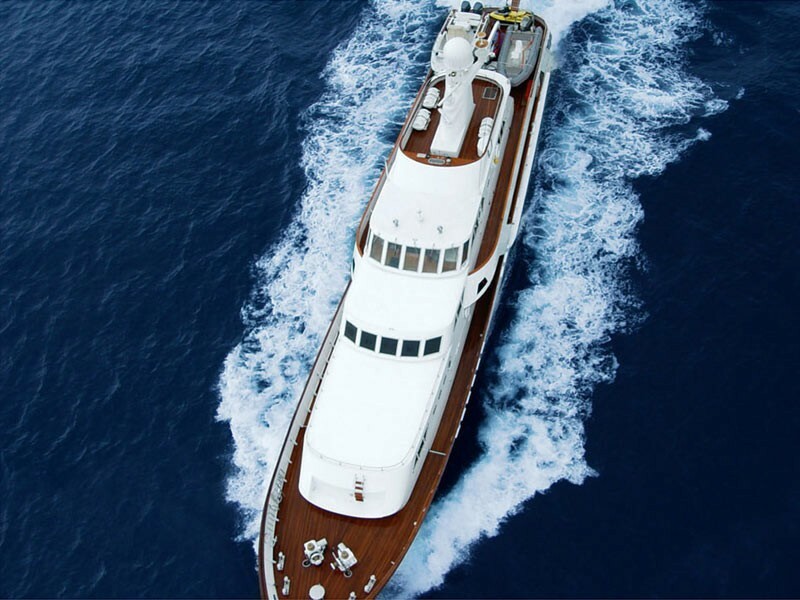 This classic superyacht is powered by two DEUTZ engines and cruises comfortably at a speed of 12 knots. 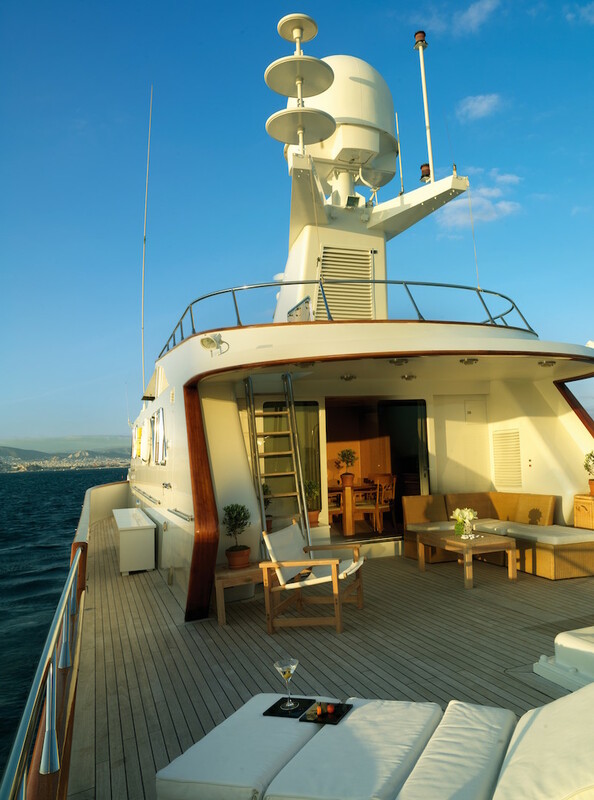 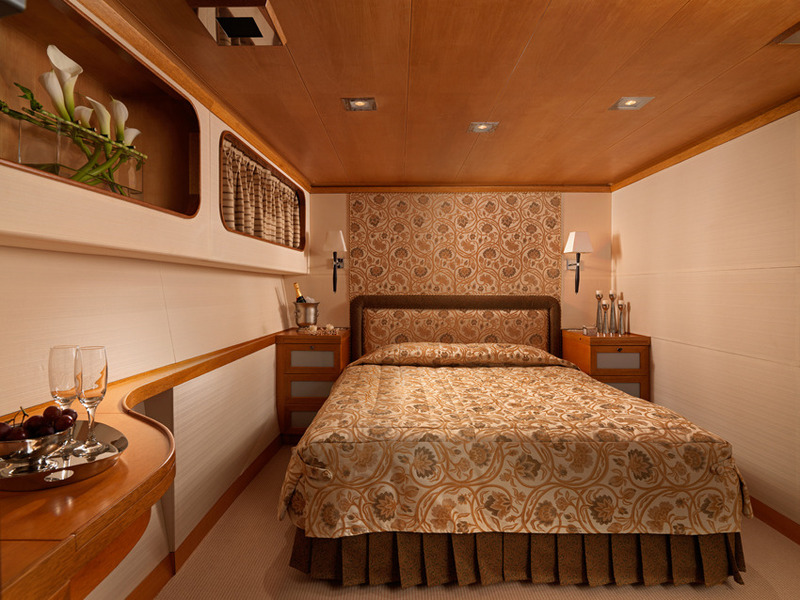 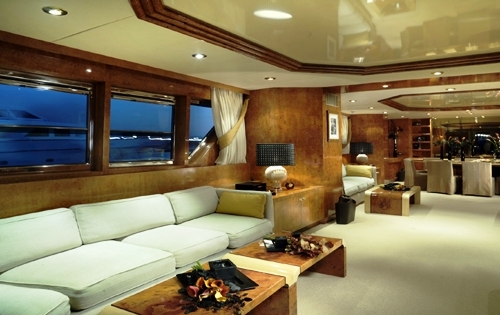 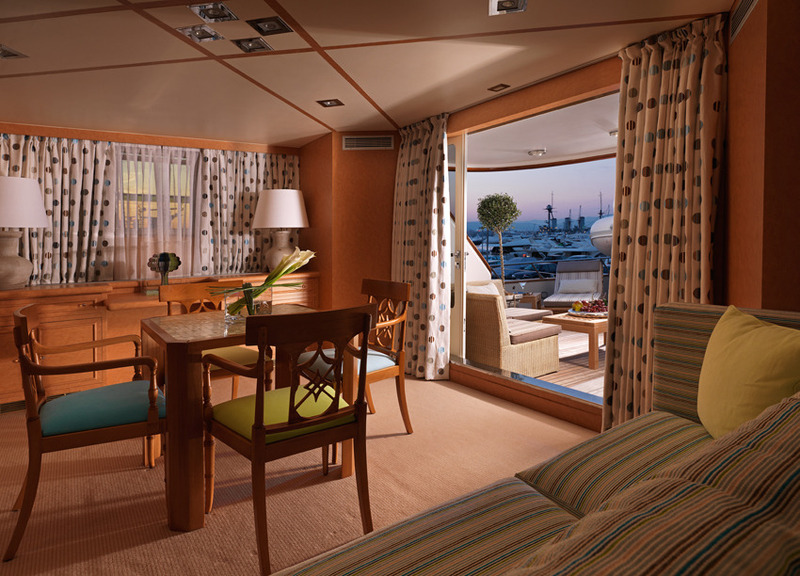 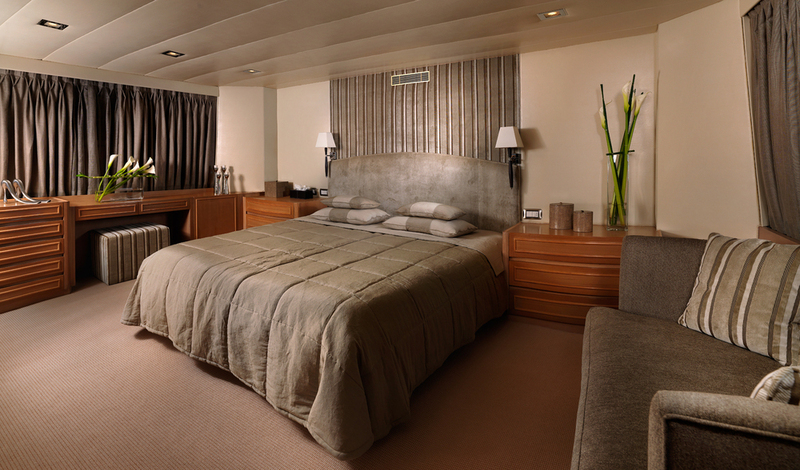 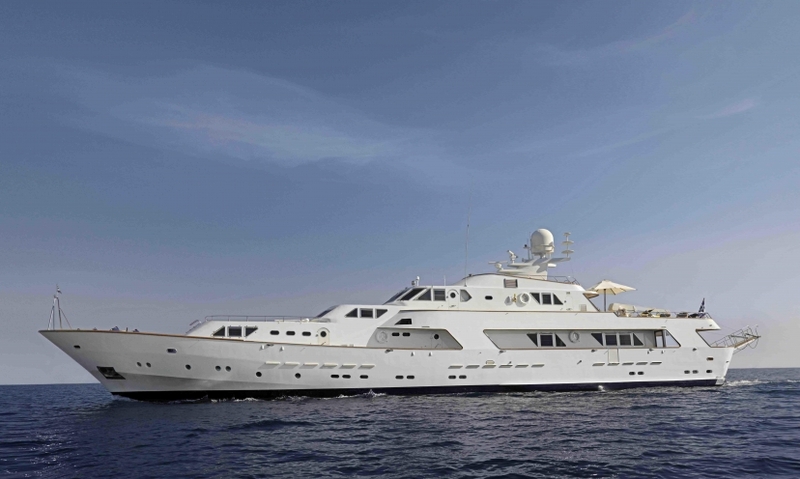 Motor yacht ALEXANDRA K has accommodation for up to 12 guests in 7 cabins. 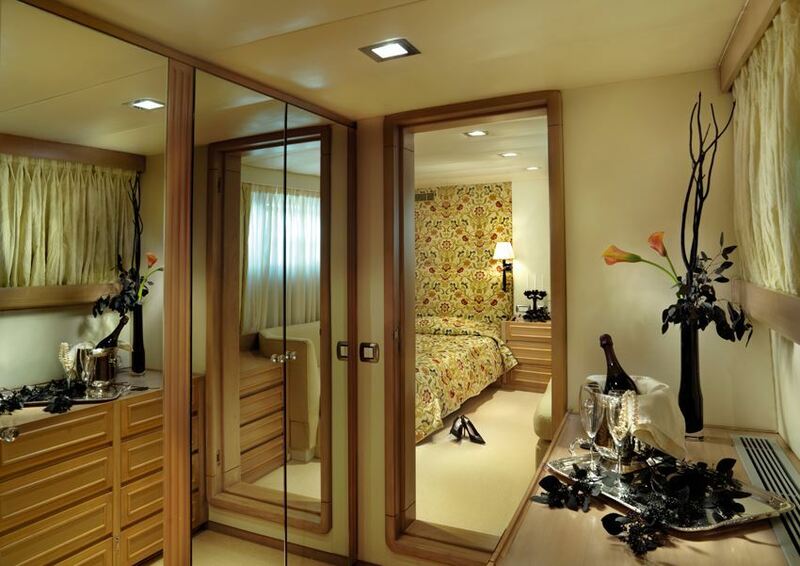 Her Master stateroom which is located on the main deck with king size bed has a dressing room, safe box, individually controlled SAT TV/DVD and ensuite facilities. 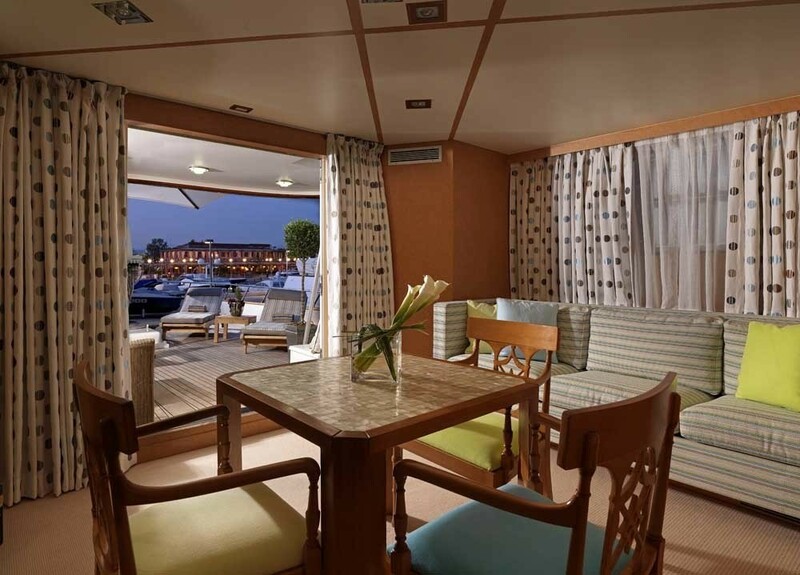 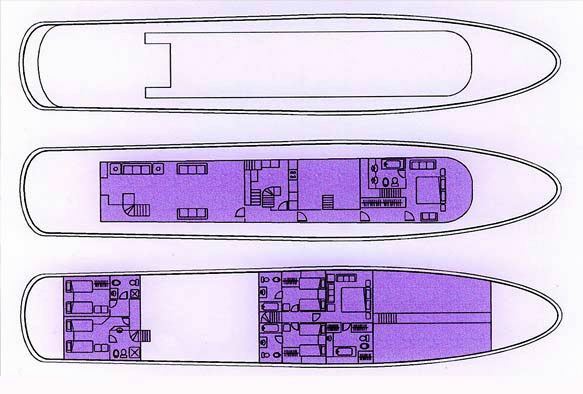 On the lower deck there is a a VIP stateroom with sitting area and couch, a double guest cabin, three twin cabins, one with one extra pullman berth and one smaller triple cabin ( which is perfect for children, nannies and bodyguards). 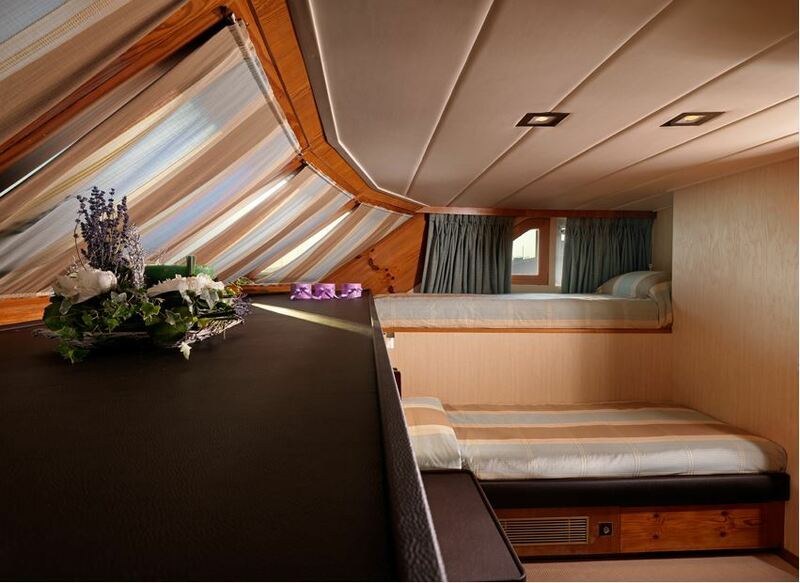 All cabins with en-suite facilities plus SAT TV/DVD/CD entertainment. 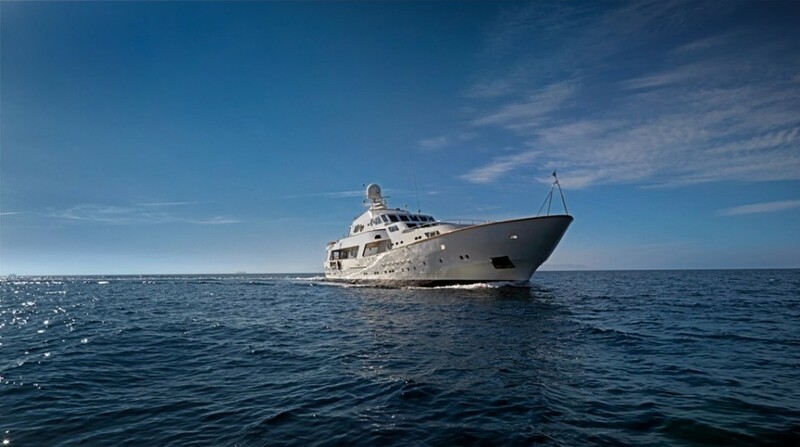 Greece Motor yacht ALEXANDRA K has a huge range of Tenders and Toys including a 5,3m Zodiac with Yamaha 115hp engine, a 2,85 Zodiac with Yahama 4hp, a Jet Ski Sea Doo GTI 4 - TEC SE 1500cc 130hp,a Jet Ski Sea Doo RX 950cc 130hp, Water Skis, a Mono Ski, Tubes, Bananas, Snorkelling Equipment, Wakeboard, Kneeboard, 2 folding Mountain Bikes and Gameboards. 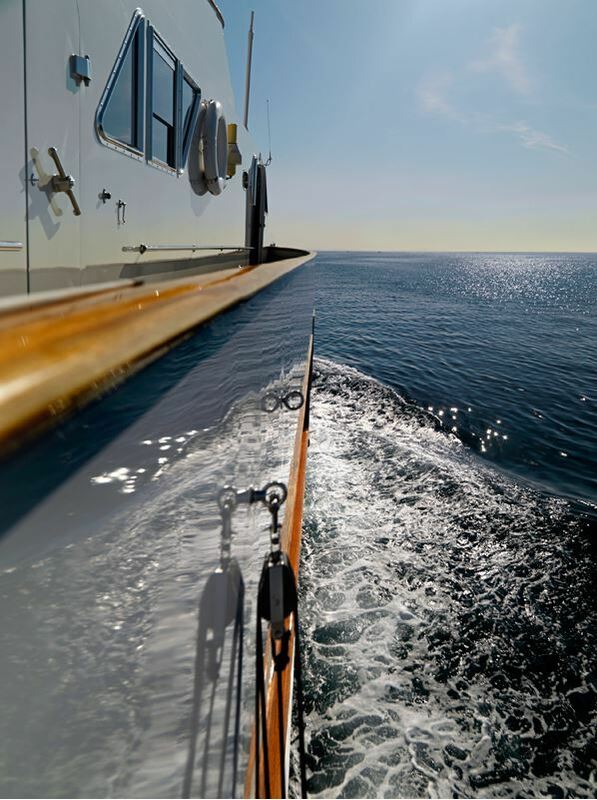 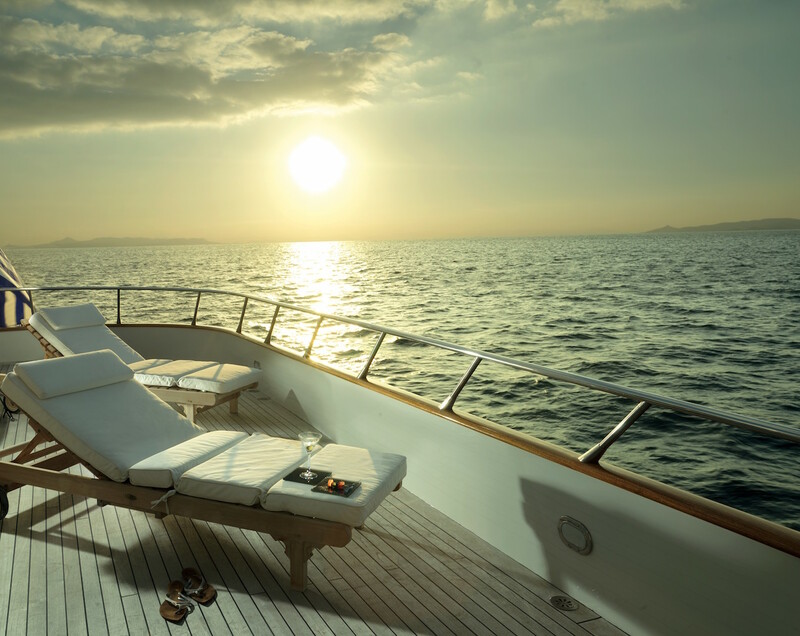 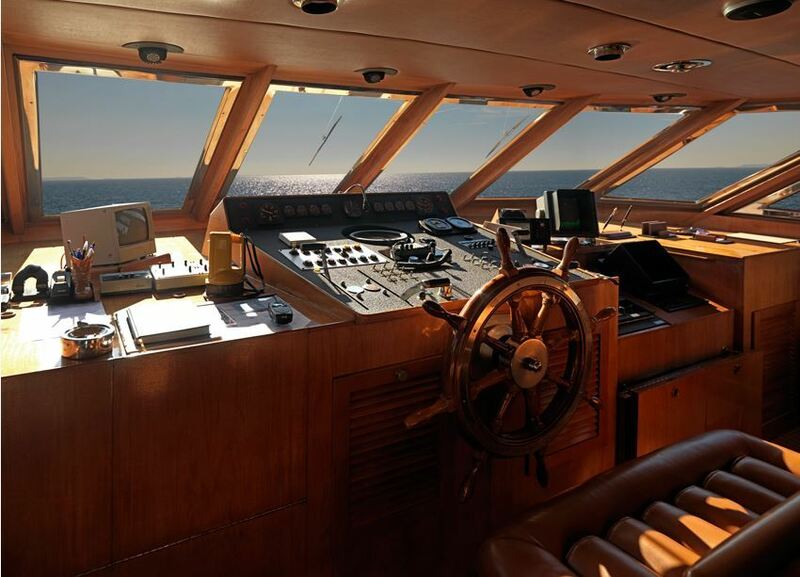 Communications onboard the yacht include Satellite tel and fax communication, a Mobile phone, Laptop with internet access, GPS Navigator, VHF, 2 Radars and Navtex. 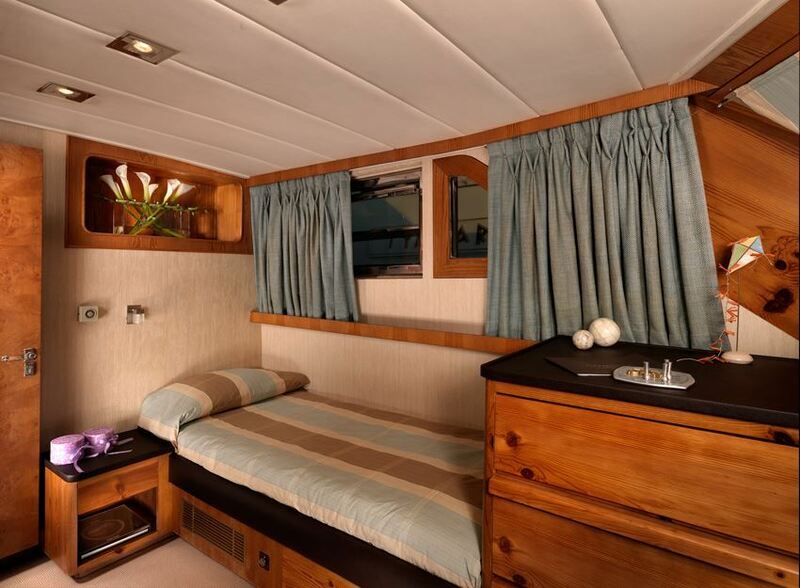 Audio Visual Equipment and Deck Facilities include Satellite LCD 32' TV/DVD/VCR/CD entertainment in main and upper saloon, a LCD 26' TV in master cabin, a LCD 21' TV in 2 double and 3 twin cabins and a 14' TV in 1 triple cabin.